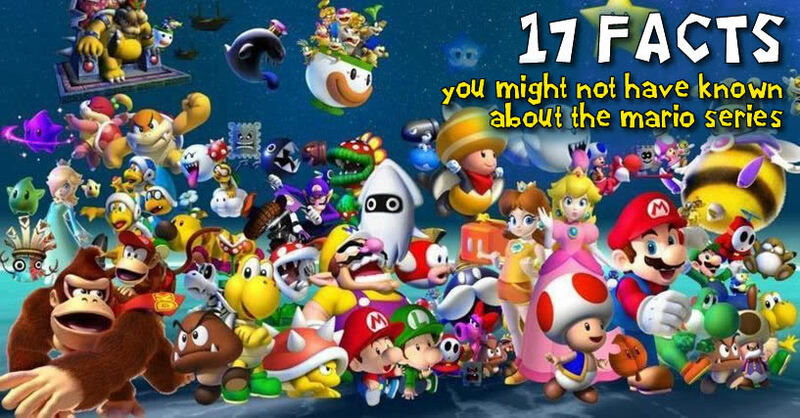 By now thanks to information on the internet and the fact that Mario is such an old series people know quite a lot about the main man himself and the series so we've done our best to come up with 17 fun facts about the Mario series which you actually might not have known. There's certainly a few that I didn't know. Enjoy! If Mario was a real person. He would have to run and swim just 3.4 miles to complete Super Mario Bros. The Bowsers in worlds 1-7 of Super Marios Bros. aren't actually Bowser. They are Goombas and Koopas that have been transformed into fakes! Goombas were once known to be part of the mushroom kingdom before betraying it and joining Bowser. In Japanese, Goombas are called "Kuriboh" with "kuri" meaning "chesnut, even though they were made to look like a shiitake mushroom. According to a 1993 Nintendo Character Guide, Yoshi's full name is T.Yoshisaur Munchakoopas, but was changed to avoid confusion with a character in the Metal Gear series with the same name. Nintendo has repeatedly stated that the 1-UP Mushroom is not intended to be a drug reference, but admit that Mario "Gets a tail that lets him fly" was the idea of an employee who often came to work high. According to the Super Mario Bros. instruction manual, when the Koopas first invaded the Mushroom Kingdom they turned people into blocks. The cast of Super Mario Brothers movie were constantly drinking while filming just to make it through their scenes. The Super Mario Series is a partial release of the oldest video games series in Japan, The Mushroom Saga. Mario himself is considered a side Character in Japan, Where Princess Toadstool is the main character. If you remove Pantissimo’s mask, It's revealed that he is the only dark skinned character in all the Super Mario series. 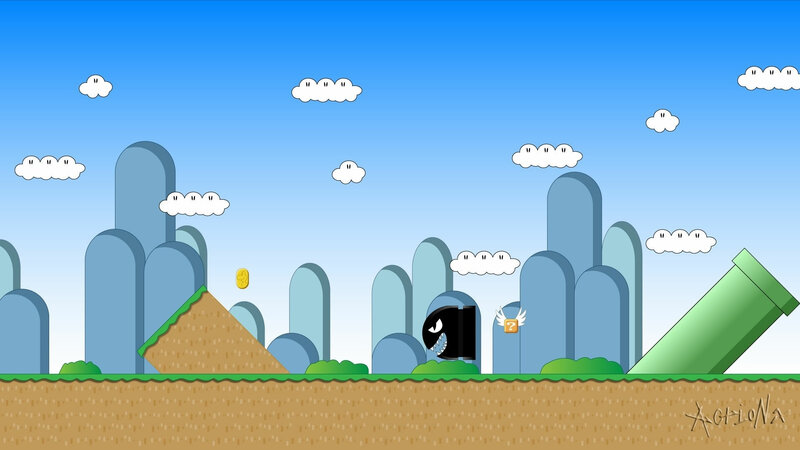 The original Japanese Mushroom Saga is now 278 games long, compared to America’s 73. According to Nintendo, Wario is not Mario’s evil twin. They were actually childhood friends, but Wario became jealous of Mario’s good looks. In the 1990’s, a national survey found that Mario was more recognizable to American children than Mickey Mouse. Mario is in his mid 20’s. Luigi was originally colored green because of technological problems. You can eat the Dolphins in the Japanese version of Super Mario World but not in the US version.